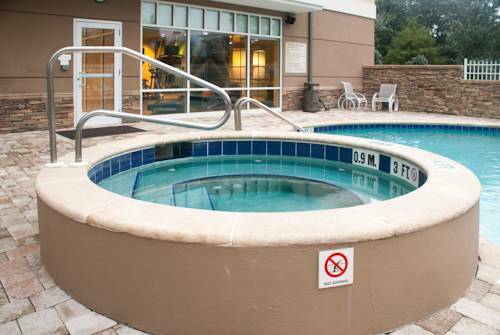 At the end of the lakeside boardwalk in the European-styled Tapestry Park village, with its restaurants and shops a quick walk away, youll find the Hotel Indigo Jacksonville Deerwood Park hotel. While our neighborhood was once dubbed Hollywood East, today our hotels attentive team members, stylish decor and distinctive amenities invite intrepid travelers to make our neighborhood their temporary home. Were pet friendly, have a gorgeous outdoor pool, and an event space that can handle up to 100 for business or social occasions. We also host Silent Sundays, in partnership with Norman Studios Silent Film Museum, with silent films, popcorn and post film discussions for a $5 admission, benefiting the museums refurbishment efforts. Lime Leaf Thai: Lime Leaf Thai Restaurant is a recently established Jacksonville restaurant that is known for great food, hospitality, and reasonable prices. III Forks Steak and Seafood: This modern steakhouse is sizzling with style, an energized bar and lounge and a savvy menu featuring USDA Prime beef, fresh seafood along with lighter, local favorites. Corner Bistro: Corner Bistro's unique entrees are from only the finest, freshest ingredients. Featuring daily specials and seasonal menu rotations, Corner Bistro strives to create an unparalleled dining experience. Tapestry Room A: Tapestry Room A has a large picture window overlooking an outdoor patio and lake. Drop down screen is included. Tapestry Room B: Tapestry Room B has a large picture window with glass doors that lead out to an outdoor patio and lake. Tapestry Room C: Tapestry Room C has a large picture window overlooking an outdoor patio and lake. Drop down screen is included. Tapestry Room: Tapestry Room has large picture windows overlooking an outdoor patio and lake. Drop down screen is included. Jacksonville LandingThe Jacksonville Landing is a 125,000 ft2 shopping and dining complex in Jacksonville, Florida. It has been compared to New York City's South Street Seaport, Boston's Faneuil Hall or Miami's Bayside. Museum of Science & HistoryFeatures interactive exhibits, special events, and the Alexander Brest Planetarium. Peterbrooke ChocolatierWonderful chocolates...a way of life! World Golf Hall of FameDiscover history and experience the legacies of the game. UNF University of FloridaThe University of North Florida is a public, comprehensive university located in Jacksonville, Florida. The university enrolls more than 14,000 students in 50 undergraduate, 25 master's and one doctoral program.